Megan is a through and through Michigander. She was born and raised in Jackson MI, and attended Michigan State University from 2005-2009. While attaining her B.S. in Horticulture, she worked in the MSU Viticulture lab and in the research vineyards across the state. During her senior year, she interned in the vineyard and winery at Sandhill Crane Vineyards in Jackson MI. After graduating, she was hired as their Vineyard Manager, and spent five more years tending their vineyard with her dog, Ellie. 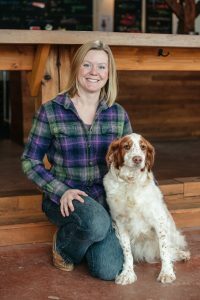 Northern Michigan was calling though, so when Megan was offered the Vineyard Manager position at Mackinaw Trail Winery, her and her husband Blaze, sold their farmhouse, and Megan and Ellie moved north. She stayed in her parents cottage until they found the Northern Michigan home of their dreams. During Megan’s first visit to Mawby, back in 2009, she told her now husband Blaze, that her dream job was to be the Vineyard Manager for Mawby. So, nine years later, when she heard the position was open she thought it was too good to be true. In January of 2017 she joined the Mawby team, with the goal to grow high quality wine grapes for premium sparkling wines. 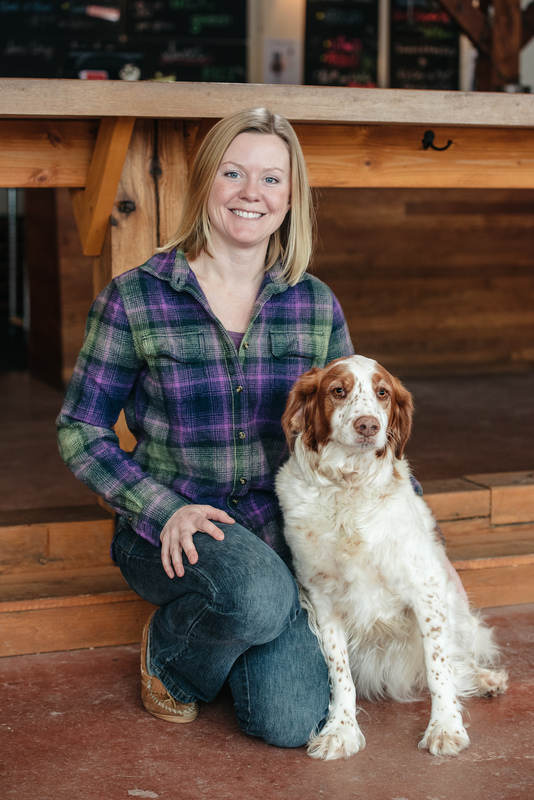 Megan is now living her dream of growing wine grapes in Northern Michigan, with her dog Ellie, at Mawby.